A ceasefire between Israel and Hamas in Gaza has begun, despite a last-minute flurry of cross-border attacks. The truce is designed to halt Israeli incursions into the Gaza Strip, and to stop missiles being fired from Gaza into southern Israel. If it holds, Israel will ease its blockade on Gaza and there may be further talks on a prisoner exchange. Correspondents say the eve-of-truce attacks underline how fragile the agreement could be. There were no reports of fire from either side on Thursday morning. Hamas, the Palestinian Islamist group which controls Gaza, said it was confident all militants would abide by the Egypt-brokered truce, which is supposed to last six months. 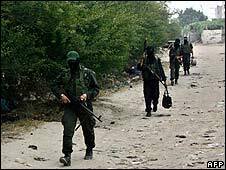 Since the last ceasefire collapsed in April 2007, about 600 Palestinians and 18 Israelis have been killed in fighting between the two sides. Speaking on Wednesday, Israeli Prime Minister Ehud Olmert said the truce would be fragile and could be short-lived. He said Israel would abide by the ceasefire, but its armed forces were ready to act if cross-border rocket attacks continued. "We should not have illusions. The terror organisations, and Hamas among them, have not changed their goals," he said. Hamas's leader in Gaza, Ismail Haniya, said the truce would "bring stability to Israel if they commit themselves to it". Syria, which has hosted the political wing of Hamas since the 1990s, has welcomed the truce. Speaking on a trip to India, President Bashar al-Assad said only peace and stability would "ensure sustainable development and long-term prosperity" in the region. Israelis in the south of the country will appreciate the relief from daily missile fire, says the BBC's Tim Franks in Jerusalem, but many fear that a ceasefire could give Hamas the chance to rearm and strengthen itself further. 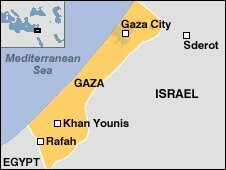 Hamas seized control of Gaza in June 2007, driving out forces loyal to Fatah, the political faction led by Palestinian Authority President Mahmoud Abbas. Israel then tightened its blockade on Gaza, allowing through only humanitarian supplies. Under the terms of the new agreement, Israel will ease restrictions on the trade of certain goods between Gaza and Israel on Friday morning, and open up the crossings for all commercial goods next week. After two weeks, talks will start involving Israel, Hamas, the Palestinian Authority and the EU on reopening the Rafah crossing into Egypt. And negotiations on the return of Israeli soldier Gilad Shalit, captured by militants in Gaza in June 2006, are supposed to resume within a few days, Israeli sources say. Separately, Mr Olmert told the BBC that peace talks with the Palestinian Authority were going well. He said serious progress had been made on issues including the borders of a future Palestinian state. He said Israel could make dramatic compromises on territorial issues but that the Palestinians would have to make compromises as well. Mr Olmert and Mr Abbas pledged last year to works towards concluding a peace agreement by the end of 2008. On Wednesday, before the truce came into effect, at least 40 rockets and mortars were fired from Gaza at Israel, and the Israeli army killed a Palestinian militant in an air strike. 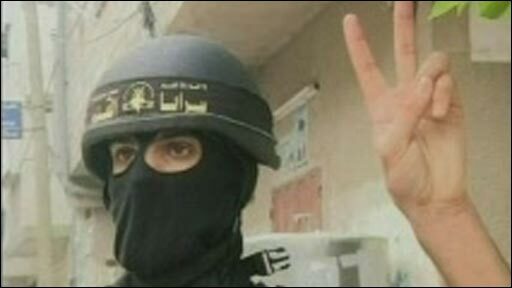 The Islamic Jihad militant group, which lost several members to Israeli air strikes in recent days, claimed responsibility for some of the attacks. Will Hamas be able to keep control over all of the disparate militant groups that fire rockets over the border? Will those groups be able to show restraint should there be any Palestinian deaths in the West Bank, where this ceasefire does not apply? A senior Islamic Jihad leader has told the BBC his group would not violate the ceasefire, but it "resolves the right to respond at any time" to any Israeli attack in Gaza or the West Bank.